Have you ever wondered how powerful your mind really is? Have you ever considered that if one human can achieve the most amazing feats then we all possess the same potential? Hi, my name is Alexander Senchenko. Based on my years of studies and practice I came to become a firm believer that we are all powerful creators of our individual and collective realities. It is this Inner Power, this gift of observation that allows us to create everything that we then experience as our reality. Whatever your reason for visiting this site let me put your mind at ease. But first: can you recall who were you before society told you who you were? Why don’t you leave your prejudices at the door, open your mind and enter. 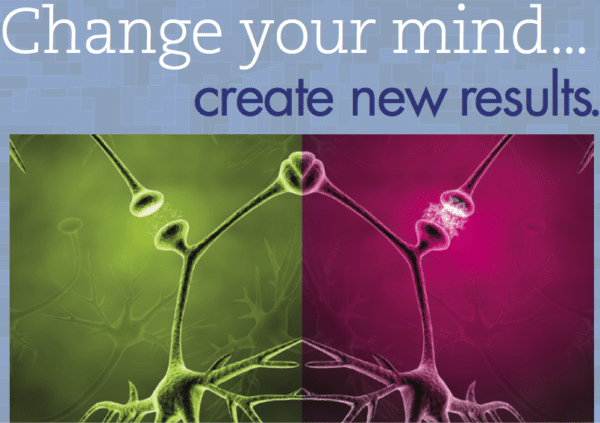 Change Your Mind…Create New Results training includes measurements of participants’ state of cardiovascular and autonomic nervous systems, body’s neurohumoral regulation, overall energy resources as well as organism’s adaptation level BEFORE and AFTER the training. The measurements are made using state-of-the-art HRV (heart rare variability) device. Participants in every group I trained had sizeable improvement to one or another degree. I am teaching how to maintain this elevated resilience after the training. This is one of the very best trainings I have taken in my whole life. The trainer has a perfect mastery of the topic he communicates with clarity and enthusiasm. The attention of the participants stayed at a very high level during the whole workshop. He gave each participant the sense that she or hecan master the topic with ease. The whole experience was not only highly instructive but most enjoyable. Having Alexander here in Geneva as a certified coach is a gift. Alexander’s workshops, training and monthly meet ups help me to stay connected with Dr J. Dispenza’s teaching and ground it more effectively in my daily life. Not only Alexander masters the art of simplifying and making this teaching understandable but he does it with great kindness and passion. I can say working on mastering my thoughts changed my way of living my life totally. I live now more and more in creation rather than in survival state. Fully grateful. The seminar was deeply exciting and inspiring for me. Alexander was a wonderful presenter who was attentive to the energy of every participant. He held our attention with dear explanations of the course material and a good sense of humour over the 2 days. His answers to our questions were reflective and honest. You could really feel that he ‘walks the talk’ in his own life. I found the course extremely motivating and since then have completed the 30 day challenge and I have signed up to the Dr. Joe Dispenza 90 day Progressive Workshop to continue reinforcing the new changes in my life. My daily meditations have become a joy in my life. Making my practice a priority helps everything else in my life fall into place more easily. I would recommend this seminar to anyone who wants to connect to a deeper sense of purpose and is ready to take control of their destiny in life. On this two-part interview I talk with amazing Anna Lassonczyk about the role culture, habits and languages play in creation of our reality. 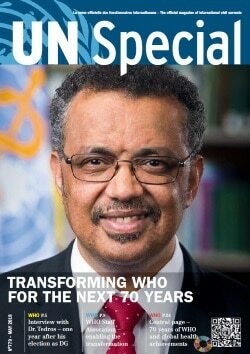 I co-authored an article for this issue of the UN Special magazine. We are now witnessing how a more HOLISTIC development approach that may not be as obviously related to position tasks is gaining value. The benefits of broadening the scope of training to include learning opportunities focused on personal growth and self-actualization are coming to the forefront more and more. And I am genuinely happy that the UN organizations in Geneva are opening to this relatively new, but increasingly popular approach. Most of us were taught that we are at the mercy of the elements and the random effects of the laws of physics. Of course, if you accept to believe this to be true, then you limit yourself by this belief and it becomes your reality.